Home LISTEN! SWTOR Escape Pod Cast 68 – 3.0 Reaction Interviews! SWTOR Escape Pod Cast 68 – 3.0 Reaction Interviews! This week @AIESema, @MaxTheGrey and Astromech EPC-68 catch up with two guild members and officers in AIE and get their reactions to the first week in the expansion. Then we give our reactions to their reactions as well as our own reactions and our reactions to our reactions! We also cover news for the week from SWTOR in general and from our guild, Alea Iacta Est. 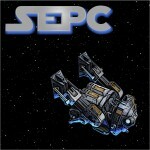 SWTOR Escape Pod Cast 67 – First day in 3.0!